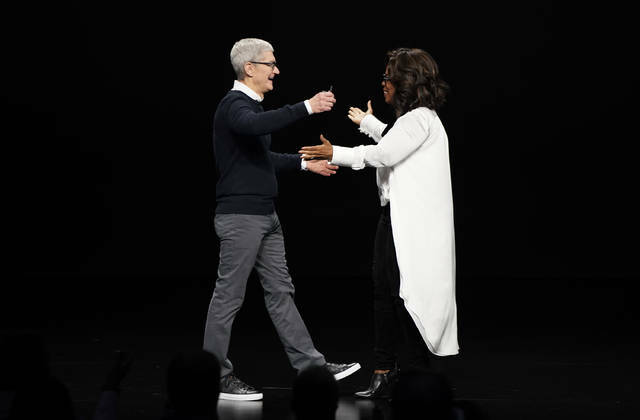 Netflix, which isn’t included in the Apple TV app, has turned “binge watching” into a worldwide phenomenon become a powerhouse in both Silicon Valley and Hollywood since it shifted its emphasis on original programming in 2013. If you have personal finance questions, we want to hear them. Email the AP at apmoneyap.org. 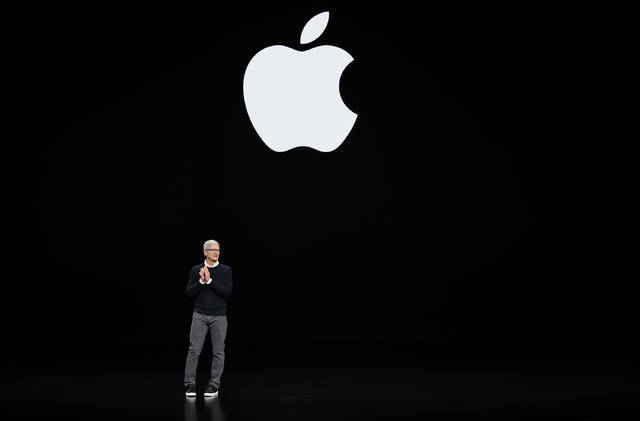 Apple, which is also launching a gaming service and introducing its own credit card, may be veering the most outside its comfort zone, technology industry analyst Rob Enderle said. Disclosure statement: David Schwartz receives funding from the National Science Foundation (nsf.gov). Partners: Rochester Institute of Technology provides funding as a member of The Conversation US. The December 2018 premiere of Netflix’s “Black Mirror: Bandersnatch” offered consumers a new way to influence the entertainment they’re watching. Netflix has a growing list of choose-your-own-adventure movies. What viewers might see as a simple choice, such as which breakfast cereal a character begins the day with, could affect the whole show’s storyline. There are other choices to make as well – some of which change the plot, and some of which may not. Viewers aren’t watching these interactive films just once. Rather, they are watching them over and over again to find each ending and post maps of the diverging plot lines. I think I sat on my couch for nearly three hours straight trying to exhaust all of “Bandersnatch’s” choices as it followed a programmer and designer through the process of game development. I’ve been teaching and researching game design and development since 2001. I see this type of experience not as just the future of entertainment, but as the expansion of a standard method of storytelling that game designers have been using for decades. Netflix is introducing new technology and new audiences to this type of entertainment, but fiction writers have been exploring similar themes for far longer, creating stories of time travel and alternative realities that let people fantasize about redoing decisions in life. There is a kind of game made popular by “Dungeons & Dragons” that provides a way to understand and expand what “Bandersnatch” explores. Role-playing games let players pick characters with multiple traits, such as strength, health and special skills, and work together to achieve story-driven goals. Fans of “The Lord of the Rings” books and movies will recognize the idea of a team of characters with different backgrounds, abilities and motivations, all trying to work together toward a goal. The adventure is not just in whether they achieve the task, but the encounters, mishaps and even battles that happen along the way. The ultimate outcome depends on the choices players make along the way. With “Bandersnatch,” Netflix used software to process viewers’ choices and deliver the appropriate video. When watching and “playing,” I wondered if there were too few choices. The show offered only two choices of breakfast cereal, and the viewer couldn’t choose to skip breakfast, make eggs or open the freezer to grab some ice cream. But, there’s a very good reason for these constraints. I often tell my students that when they’re creating role-playing games, the problem isn’t giving players choices: It’s deciding what happens next. Giving players lots of options is great, and fun – but with every choice the job gets harder. If there are three kinds of ice cream in the freezer, that’s three different sets of video to show vanilla, chocolate and strawberry – and possibly three different scripts, if the choice actually has consequences. In game design, we call this a “branching narrative,” where every choice spawns as many new branches as there are options, and the tree gets bigger and bigger all the time. A movie with an enormous number of options would require multiple sets, extra time for actors, huge amounts of special effects work, extended production times and increasing budgets. With an interactive movie, would a viewer want several days’ worth of watching? I don’t know if anyone has an idea of how long a typical interactive movie experience should last. My three hours on the couch watching “Bandersnatch” seemed about right – and ran through most of the options. The Netflix producers borrowed from game designers, and the classic “Choose Your Own Adventure” book series, to give viewers the illusion of choices when really the alternatives were limited. My own research recommended the same technique: Allow the players some choices, but bring them back to the main narrative thread at key points. Gamers are already familiar with this convergence of film, interactivity and branching narrative. Cinematic video games, like “Indigo Prophecy” and “Heavy Rain,” let players make choices in dialog and other cinematic aspects, all of which alter the endings. An academically published game, “Façade,” is considered important not just for showing that scholarly games can be fun to play, but also demonstrating that academic concepts of branching narrative and story can create meaningful play: The player visits a couple’s apartment, and depending on where the player moves and what the player says, the couple reacts in different ways. I anticipate different genres of shows will explore interactive formats. Imagine playing through historical fiction where you can choose to execute Marie Antoinette or not. I also expect viewers will be able to make their choices in different ways than just pressing buttons on their remotes – perhaps by using voice recognition on their phones. If artificial intelligence and machine learning systems get better at telling stories, viewers might even be able to suggest new possible choices, with the resulting content generated on the fly while people watch. Of course, there’s a strong overlap with virtual reality, offering immersive escapism, which is, in my experience, a key goal of interactivity. In the meantime, “Bandersnatch” fans who want to continue exploring choosing their own adventures to direct a story can look for local gaming groups and game stores. “Dungeons & Dragons” and “HackMaster” are regaining popularity lately. So is live-action role-playing, in which people physically act out their fictional encounters. In these environments, players can ask “what if” without running into the limitations of software development and movie production teams. Human players can engage in the full extent of their imagination without any illusion of choice. Joe Dirk: It’s about time! I grew up playing D&D and reading the impossible to solve Choose Your Own Adventure books. (The original author tried to sue Netflix over their movie technology). I like movies when I am completely mentally worn out, but otherwise computer games are my entertainment of choice. These days a good game is like an incredibly complex Choose Your Own Adventure. As technology grows merging entertainment types is going to be the future. Just wait until we perfect virtual reality with other senses than just the eyes! Simple movies and books will go the way of stereo-optics of yesteryear. Exciting, and engaging, times are ahead!